The world is reeling after bombings at Zaventem Airport and the Maelbeek metro station in Brussels, Belgium on Tuesday morning. 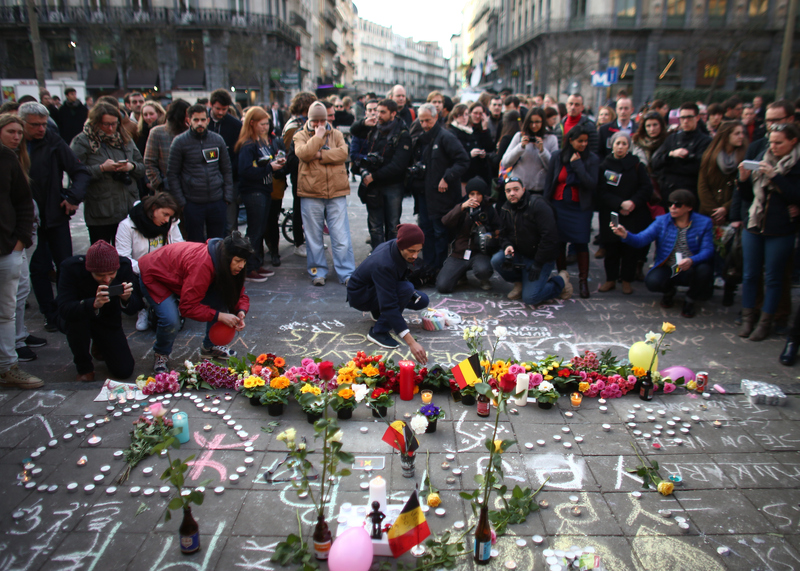 Unsurprisingly, the U.S. implemented extra security after the Brussels attacks. City officials and law enforcement officers across the country increased police presence and called for Americans to be on alert — though no U.S. city is believed to be under an explicit terrorist threat. However, on Tuesday, cities across the U.S. took measures to prevent future attacks. Until we learn more, the department has deployed additional counterterrorism resources across the city including: the Counterterrorism Response Command, the Strategic Response Group, and Hercules Teams. These teams have been deployed to crowded areas and transit locations around the city out of an abundance of caution to provide police presence and public reassurance as we closely follow the developing situation oversees. The NYPD implemented similar security measures after the Paris attacks in November of 2015. The Huffington Post wrote that security checks will be extra vigilant at New York's airports as well. Although President Obama was in Cuba on Tuesday, ABC News reported that security was tightened in Washington, D.C. after the Brussels bombings. D.C.'s Metro Transit Police increased their presence on the city's mass transit, and tweeted that there would be "additional K9 sweeps + patrols" throughout the capitol. Speaker of the House Paul Ryan commented on the attacks in Belgium Tuesday morning, and stated that he had “absolutely no reason to believe that there is a threat" of terrorism in D.C. Even though there are 5,000 miles between Los Angeles and Brussels, the city is taking extra security precautions after these bombings. The Los Angeles Times reported that there would be a heightened police presence throughout LA after the Belgium attacks. LA County sheriff's transit police conducted extra K9 sweeps on the city's public transportation Tuesday morning, and extra police personnel were stationed at Union Station, the city's main train station. Though there were no delays in flights at LAX, The Times did report that there would be far more police at the airport than normal. The Chicago Tribune reported that heightened security in Chicago after the attacks in Brussels would be similar to that implemented in New York and D.C. Though officials say there is no current threat of terrorism in Chicago, the city's police superintendent, John Escalante, ordered a "stepped-up [police] presence at airports and transportation sites within Chicago." Even though the U.S. is separated from Europe by an entire ocean, the country is on edge after the attacks in Belgium. Security has been increased, just as it was after the November 2015 attacks in Paris and after the bombing in Istanbul in last week. In cities throughout the country, authorities are calling on the American people to stay alert. Many are employing the phrase often used in times of terrorist threats: "If you see something, say something." What the world is sadly not seeing enough of is peace.